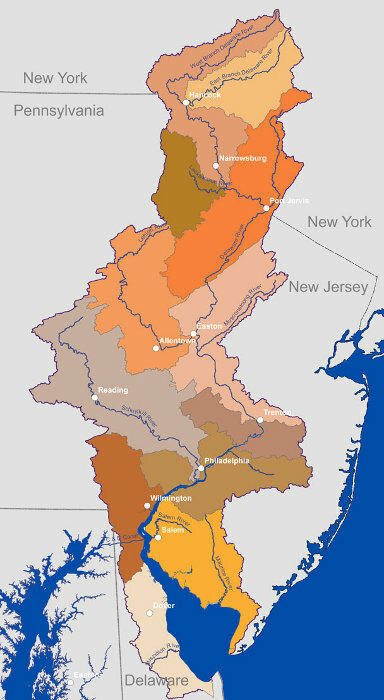 States within the Delaware River Basin each have unique authorities and approaches to source water protection. 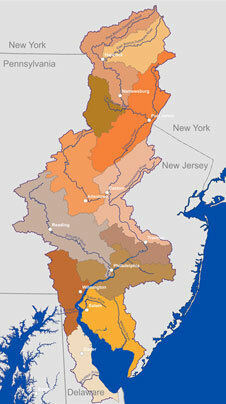 The Source Water Assessment Program (SWAP) is administered by the Bureau of Safe Drinking Water, Division of Water Supply within the New Jersey Department of Environmental Protection. The information gained from source water assessments will encourage protection of water sources, provide information for watershed assessment and planning, and improve land use planning. The information developed from the SWAP will provide communities with the tools necessary to begin protecting their valuable drinking water source. The New York State Department of Health (DOH) and the New York State Department of Environmental Conservation (DEC) both have roles in drinking water source protection. DOH is responsible for oversight of public water systems and for implementation of the Safe Drinking Water Act (SDWA). Since the late 1800’s, DOH has used the state statute authorizing watershed rules and regulations (WRR) to protect watersheds used by public water supplies. Specific WRR have been developed for numerous ground water and surface water sources across the state, particularly for watersheds used by large public water systems. Other programs administered by DOH and County Health Departments that protect drinking water sources include but are not limited to regulation of on-site septic systems and standards for water well construction. DOH also works in a supporting role in source water protection programs associated with other New York environmental quality programs implemented primarily by the DEC, including implementation of the Clean Water Act (CWA). These programs, including both point and non-point source pollution programs (e.g., waste discharges, solid and hazardous waste, bulk storage, pesticides, storm water, CAFO, spills etc.) include measures to protect both ground and surface waters. DEC classifies both surface water and ground water based on their best use and maintains water quality standards appropriate for each classification. The water quality standards were developed to protect public drinking water sources and wildlife. DOH and DEC work collaboratively and with all of the Federal and State Agencies involved in source protection. The Pennsylvania Department of Environmental Protection (DEP) conducts assessments of the susceptibility of public water system water sources to potential sources of contamination. These assessments have been done in accordance with Pennsylvania’s Source Water Assessment and Protection Program and the Safe Drinking Water Act. The previously existing Wellhead Protection Program is considered the cornerstone for the assessment of ground water sources serving public water systems. The purpose for conducting the assessments is to educate the public and promote the development of local, voluntary source water protection. DEP offers a variety of support for municipalities, water suppliers and the public to develop these local source water protection programs. The Delaware Department of Natural Resources and Environmental Control has the lead role in the development and implementation of the Delaware Source Water Assessment and Protection Program (SWAPP). The Delaware Division of Public Health and the Water Resources Agency, Institute for Public Administration at the University of Delaware, closely supports its work. A SWAPP Citizen and Technical Advisory Committee was formed at the start of this program in 1998 and is continuing to assist in developing and implementing Delaware’s SWAPP and ensures public involvement.